André Leon Tally has been a fixture in the world of fashion for so long that it's difficult to imagine a time when he wasn't defining the boundaries of great style. Kate Novack's intimate portrait takes viewers on an emotional journey from André's roots growing up in the segregated Jim Crow South to become one of the most influential tastemakers and fashion curators of our times. 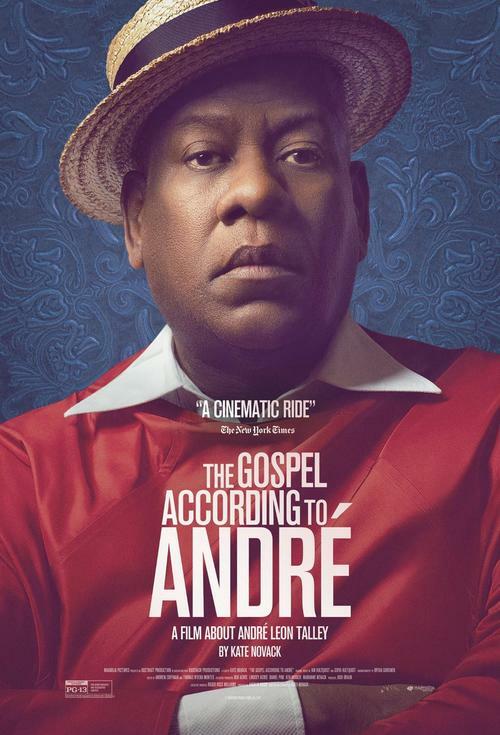 Novack's film draws fascinating, heretofore unexplored connections, between the elegance of André's beloved grandmother and the Black Church of his youth and his later iconic, barrier-breaking work at publications like Women's Wear Daily, W and Vogue. Weaving together a wealth of archival footage from the most glamorous moments in fashion history with André's poignant reflections on his life and career, and featuring commentary from fashion luminaries including Anna Winter, Marc Jacobs and Tom Ford, this cinematic monument to one of the most unique figures of 20th Century American culture is an indispensable addition to the growing canon of fashion documentary. Presented by Little Red Book Magazine, and the Department of Textiles, Merchandising, and Interiors at the University of Georgia, College of Family and Consumer Sciences.